Take the N train to Brooklyn and get off at the 8th Avenue stop. Go left as you exit the train station. You’re in Brooklyn’s Chinatown, just four express train stops from Manhattan’s Canal Street, the original New York City Chinatown. There are three main Chinatowns in NYC: Brooklyn, Manhattan, and Flushing in Queens. In Brooklyn, Chinatown stretches along 8th Avenue, roughly from 42nd St. down to 65th St. It seems to grow by the month with Chinese-owned businesses opening up on 4th and even 3rd Avenues and spreading north and south, as well. Brooklyn’s Chinatown, one of the city’s fastest growing communities, is similar and yet different from Manhattan’s Chinatown. It's mostly been built up from the late 1980s, and the majority of the new immigrants here are from the province of Fujian on the southeast coast of China (Manhattan’s Chinatown was originally settled by Cantonese immigrants). Brooklyn’s neighborhood was settled much later on and has a different feel. It’s not as hellishly crowded with tourists, for one thing. Shopping for food in Brooklyn’s Chinatown requires some flexibility. You won’t be able to get the same produce that you can find in your neighborhood supermarket. On the other hand, your neighborhood market can’t supply you with snout to tail meat, fish and poultry. Intrepid foodies in search of authenticity to recreate favorite recipes are increasingly finding their way here and liking the variety and prices. Thinking of trying that classic French recipe for tripe? Looking for hog’s head? Kidneys? 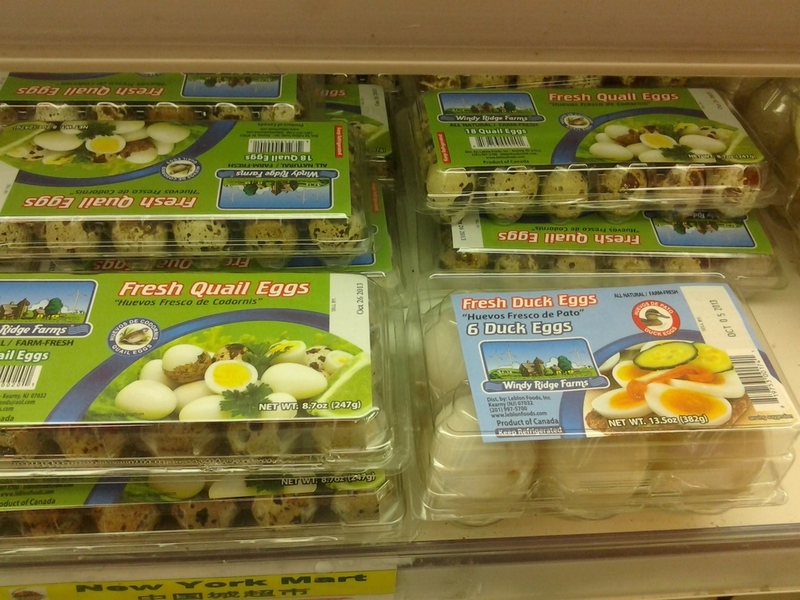 Maybe you want something more traditionally “gourmet,” like duck, quail or partridge. Perhaps you were thinking of those frog legs you enjoyed in New Orleans or the escargot you had in France. How about live lobster or live shrimp? They’re all available in Chinatown and everything is fresh. The cuisine of Fujian leans toward seafood, and there are several great purveyors along 8th Avenue with an astonishing variety of fish and shellfish. The multitude of fresh, live seafood is a testament to the high standards of Chinese customers. If it isn’t fresh, they won’t buy. Fish in Brooklyn’s Chinatown compares favorably with the best I’ve been able to purchase for restaurants from fish wholesalers. 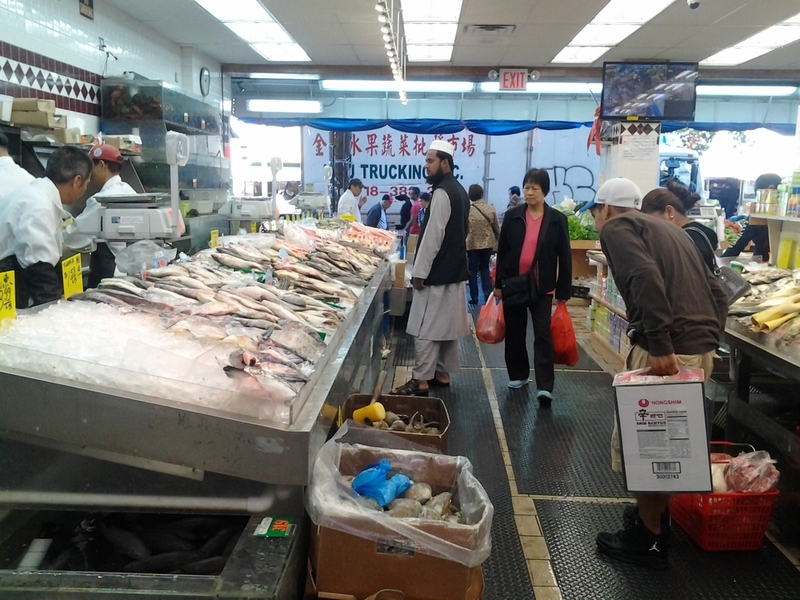 The prices here are generally much lower than other seafood shops in the city. Out on the sidewalk, stores have bins with iced fresh panfish and displays of live crabs and other shellfish. Inside, there are bins filled with larger fish, tanks filled with live eels, frogs, shrimp and fish. There is even a brisk trade in fish heads to make stock or soup. Anything that a picky seafood lover desires is here. Meat is typically sold in the back of these stores. It is said that when Chinese people butcher a pig, they eat everything but the oink. There’s every kind of offal, snouts, tails, tongues and feet you can imagine - and probably a few you didn’t think of. There’s beef, pork, chicken, lamb, rabbit, duck, quail, pigeon, partridge, and more. Many of these items are only available by special order through a western-style meat market. Here, it is always available. There is no out-of-season asparagus here, nor will there be raspberries in winter. Tip: Even in peak season, don’t expect to be able to buy good tomatoes: Chinese customers don’t favor them and they are usually not very good. If you’re willing to compromise on your selection of vegetables, you’ll be more than pleased with the freshness. 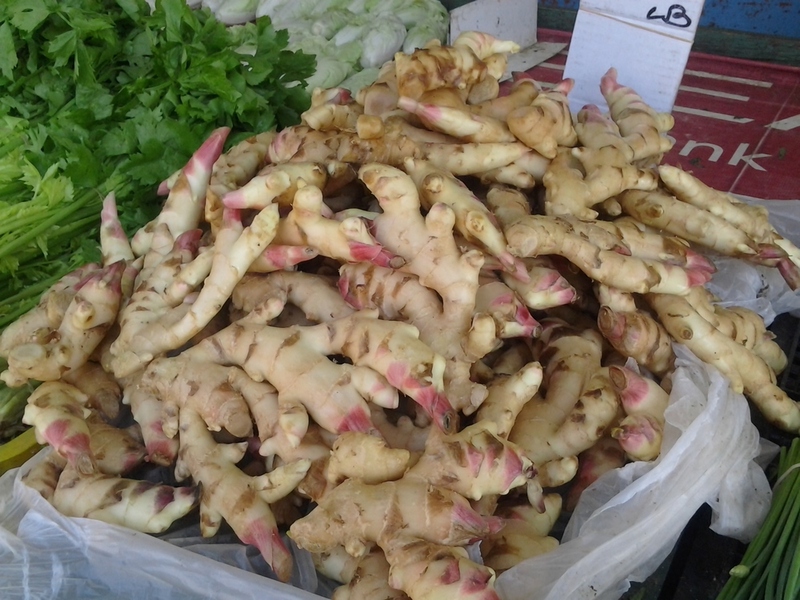 The fruits are also wonderful in terms of freshness and variety. Chinese cuisine doesn’t include much by way of sweets; they tend to favor fruit for dessert. In addition to the fruits you will be most familiar with, there is dragon fruit, lychee, rambutan, mangosteen, longan, and durian. Just, please don’t invite me if you’re serving durian. The odor is… less than wondrous. A visit to any of the city’s Chinatown neighborhoods is a cultural adventure, as well as a shopping trip. After shopping, try out one of the Chinese bakeries for a roast pork bun or sit down to dim sum. You won’t be seeing many tourists here and the lower prices reflect their absence.